SEOUL/TOKYO -- South Korea on Tuesday lodged a strong protest against Japan’s renewed claim to the easternmost islets of Dokdo, a long-standing thorny issue in bilateral relations. Earlier in the day, Tokyo’s cabinet adopted its annual defense white paper, including the claim, inflaming public sentiment in South Korea at a time when Seoul is seeking cooperation with its neighbor for North Korea’s denuclearization and lasting peace on the Korean Peninsula. “(Our government) strongly protests the wrongful, repeated territorial claim to our inherent territory of Dokdo in the defense white paper,” Seoul’s Foreign Ministry spokesman Nok Kyu-duk said in a commentary, noting that the claim would be unhelpful in fostering a “future-oriented” partnership. “We once again make it clear that Tokyo’s claim will never affect our sovereignty over Dokdo, which is the Republic of Korea’s inherent territory historically, geographically and by international law,” it added. The ministry called in Koichi Mizushima, minister at the Japanese Embassy in Seoul, to lodge an official protest. 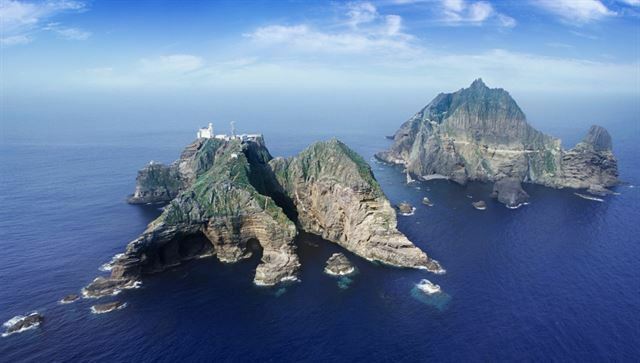 Japan laid claim to Dokdo in this year’s defense policy paper for the 14th consecutive year. “The territorial issues involving our inherent territories of the Northern Territories and Takeshima remain still unresolved,” the white paper said, referring to the four Kuril Islands and Dokdo, respectively. Tokyo has published the policy paper, including its claim to Dokdo, since 2005 to describe its defense policy and security conditions surrounding Japan and in the region.